University of Louisiana at Lafayette received a A-. Washington Monthly's ranking of 172 out of 277 of National Universities - Overall Rank was a major contributor to this grade. The University of Louisiana at Lafayette, which is located in the heart of Cajun country, offers varied study abroad programs in Canada, France, and Belgium. Back on the bayou, over 20% of the students choose architecture majors and can participate in the campus Mardi Gras, or brave the tourist crowd for the real thing in New Orleans (about 135 miles away). What is a typical University of Louisiana at Lafayette student like? Describe the type of person that should attend University of Louisiana at Lafayette. What are the top 3 reasons someone should attend University of Louisiana at Lafayette? What was a typical University of Louisiana at Lafayette student like in high school? Describe the type of person that should attend University of Louisiana at Lafayette. the university of Louisiana at Lafayette accepts all types of people, and the university prides itself on the diversity of its student body. No matter who you are, there is a group or social event that will fit your beliefs. You are pretty much guaranteed admission if you carry an ACT score of at least 18. UL Lafayette is renowned for the nursing and engineering programs that have 100% job placement rates post-graduation. What are the top 3 things that students do for fun at University of Louisiana at Lafayette? 37% of students received Pell Grants, which are provided by the U.S. government to students from middle and lower income families. It gives you an idea of a school’s socio-economic diversity. Campus housing is available for undergraduates. Housing deposit : $50.00. Housing deposit due : Jun 15. Freshman allowed to have car. No pets. 17% of students live on-campus. 50% of freshman live on-campus. 9% of male students live in fraternities. 8% of female students live in sororities. A program that prepares individuals to promote product lines/brands, and organize promotional campaigns, at the wholesale level to attract retailer interest, wholesale purchasing, and supply contracts. Includes instruction in wholesaling, wholesale advertising, selling, and customer relations. Buy merchandise or commodities, other than farm products, for resale to consumers at the wholesale or retail level, including both durable and nondurable goods. Analyze past buying trends, sales records, price, and quality of merchandise to determine value and yield. Select, order, and authorize payment for merchandise according to contractual agreements. May conduct meetings with sales personnel and introduce new products. Includes assistant wholesale and retail buyers of nonfarm products. A program that focuses on the application of the biological sciences to the specific problems of biodiversity, species preservation, ecological sustainability, and habitat fragmentation in the face of advancing human social, economic, and industrial pressures. Includes instruction in ecology, environmental science, biological systems, extinction theory, human-animal and human-plant interaction, ecosystem science and management, wetland conservation, field biology, forest and wildlife biology, and natural history. A program that focuses on the scientific study of unicellular organisms and colonies, and subcellular genetic matter and their ecological interactions with human beings and other life. Includes instruction in microbial genetics, cell biology, cell physiology, virology, pathogenic microbiology, environmental microbiology, immunology, biostatistics, bioinformatics, and laboratory methods including microscopy. Investigate the growth, structure, development, and other characteristics of microscopic organisms, such as bacteria, algae, or fungi. Includes medical microbiologists who study the relationship between organisms and disease or the effects of antibiotics on microorganisms. Any instructional program in natural resources and conservation not listed above. A program that prepares individuals to apply mathematical and scientific principles to the design, development and operational evaluation of systems for locating, extracting, processing and refining crude petroleum and natural gas, including prospecting instruments and equipment, mining and drilling systems, processing and refining systems and facilities, storage facilities, transportation systems, and related environmental and safety systems. 76% of students graduated in the top half of their class. 19% of students graduated in the top tenth of their class. The average student pays $7,920 for tuition, fees, and other expenses, after grants and scholarships. Total stated tuition is $4,469, in-state and on-campus, before financial aid. 90% of students receive some form of financial aid. Learn more about financial aid at http://admissions.louisiana.edu/financial-aid. Estimate the net price for you at http://collegeportraits.org/la/ul-lafayette/estimator/agree. 44% of students graduated in six years. 74% of full time students continued studying at this school after freshman year. The typical (median) early career salary of University of Louisiana at Lafayette graduates is $40,800, according to Payscale. University of Louisiana at Lafayette participates in the NCAA Division I-A for college athletics. 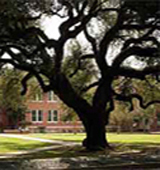 Want more info about University of Louisiana at Lafayette? Get free advice from education experts and Noodle community members.